It's pretty telling that several weeks later, The Coconut Cult is now part of my daily routine—and my friend is hooked too. Okay, but why is it so expensive? 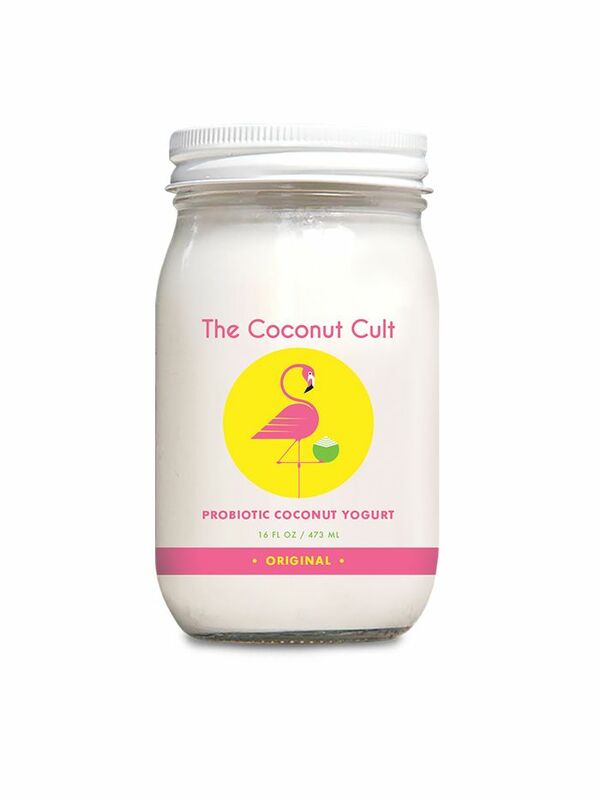 After actually obtaining a jar, however, I learned that The Coconut Cult is meant to be seen less as a non–dairy yogurt alternative and more as a high-quality probiotic that happens to have a delightfully creamy consistency. A serving size is just two tablespoons, which contains 25 billion probiotics alone. And that's how I take it: Two spoonfuls before my smoothie every morning or occasionally as a delicious garnish on top of a granola bowl or chia pudding. I haven't taken a standalone probiotic supplement in some time since I a) enjoy a lot of fermented foods on a regular basis and b) am laughably bad at remembering to take vitamins on a daily basis. 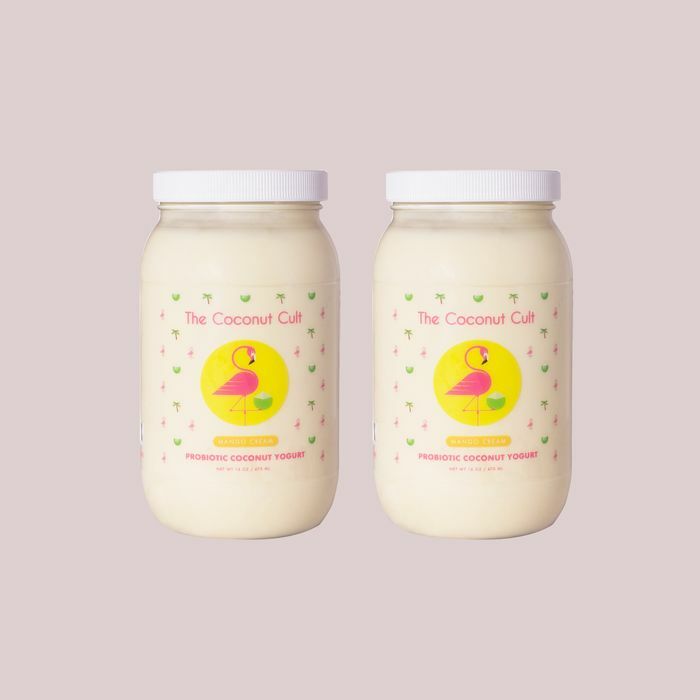 But immediately after I began consuming that first jar of The Coconut Cult, I noticed a change in my digestion and the persistent bloating that had been plaguing me since the holidays. And because it tastes delicious—the closest thing to actual yogurt I've tried in seven years of being dairy-free—I have no problem remembering to take it as soon as I wake up. Still, quality or not, $25 is a lot of cash to spend every couple of weeks if you're on a budget. And that's why I now swear by a deceptively easy DIY to make each jar last twice as long. First, it's important not to finish your jar of The Coconut Cult entirely—you'll need a few tablespoons left at the bottom in order to use some of those same probiotics for the next batch. So once you're down to the remains, fill up the rest of the jar with full-fat coconut milk, leaving an inch of space at the top. Empty two capsules of your probiotic supplement to help feed the bacteria (I use a teaspoon of my Moon Juice powder). Mix it well with a wooden spoon—metal can harm the bacteria. Put the metal lid somewhere safe—you'll need it again once your yogurt is done. Cover the jar with a clean cloth or T-shirt (I use the same muslin cloths I use to wash my face), secure it with a rubber band, and place the jar in a sunny window. After 48 hours, cover the jar with its original lid and put it in the fridge. But aside from the thriftiness of it all, I love that this DIY is also a lesson in sustainability—not to mention that investing just a little extra time means that I get to feel even more balanced and healthy on a daily basis. To me, this kind of payoff is what makes wellness so empowering. Sometimes I just need a little reminder of that fact—even if that reminder is yogurt.